Howell-Oregon Electric Cooperative's budget-friendly Level Billing program provides you, the member, with an option to pay your electric bills in twelve (12) equal payments. A monthly average will be calculated for your location to determine the amount of your payments. In July of each year, your account will be reviewed to see if the Level Billing amount needs to be adjusted. In December you will be advised of your account status and will be given the amount of the monthly payment for the next year. The account is in the applicant's name. The account is a residential account. The account must have been paid prior to the 10th of each month. The applicant has lived at the location a minimum of twelve months. The applicant agrees to have the Level Billing payment in the Cooperative office by the 10th of each month. If you meet all of these qualifications and are interested in participating in this program, call the cooperative at 417-256-2131 or toll-free at 1-888-HOE-POWER. 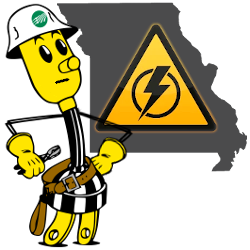 You are always welcome to stop by the cooperative office to discuss the program when you come in to pay your electric bill.